Randy, just HOW do you manage to outdo yourself, each layout of photography? The contrast of shape and color between the first two images alone is remarkable. Love how you bring in the Old Man and his marlin and afford us this precious glimpse of people whose livelihood (and therefore lives) depend on timing and nature’s elements. It’s like you live in another planet. But all the more fantastic that it is our very own world you hold up to us. Thank you Diana ~ this post came together almost as if I was sitting back on the lake, and with my favorite character ever written, the Old Man, this post seemed to be a perfect home for him in my mind. Fishermen, ranchers, farmers…all of the same ilk ~ their lives dependent on timing and Mother Nature, and how can they not inspire patience and understanding 🙂 So nice to for us to share the fantastic worlds we find ~ take care! Beautiful photos!!! Thank you !! Thank you Kat ~ this was a fun post to put together. Beautifully evocative images and a great narrative bring the place to life; I feel I’m there …. Such incredible life there ~ thank you Noeline. Captivating and beautiful. Such a wonderful story teller you are~ I always feel your images seem to whisper stories of their own and yet echo your narrative perfectly. “…As with the morning sun, slowly I rise out of bed and slip on a new day without a sound…” Extraordinary. Sometimes there is nothing better than drawing a story out of photos ~ and the beauty is just as you eloquently say “images whisper stories of their own…” There is nothing better than listening to the stories of a photo, something you do very well with your work. Thank you very much for the great compliment on the opening line ~ it is described the mornings there so well. Cheers! Another beautiful post Randall. And one very near and dear to me. Fishing and photography make my world go round. Living simply and by the water in such an idyllic setting. And you painted it so beautifully. Bravo. Those silhouettes made me more appreciate how hard working they are and as you put it, can’t help but romanticize a fisherman’s life being salty, tough and poor. Thanks Farrell. 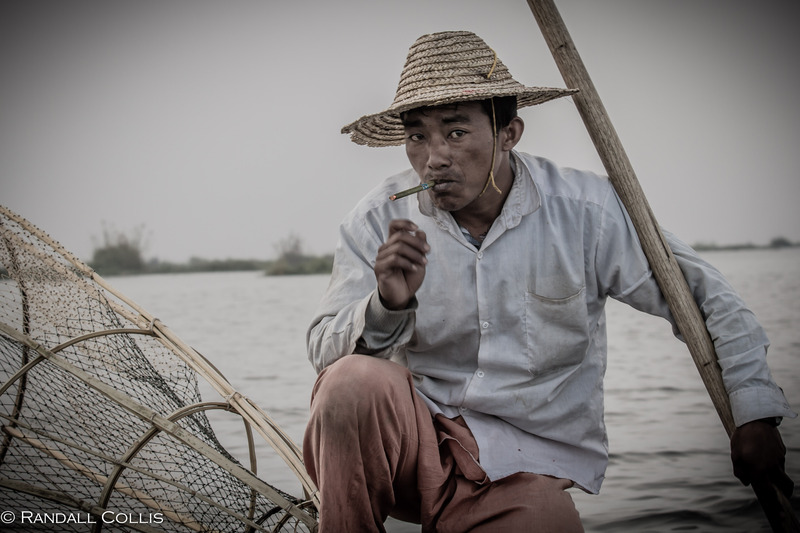 Yes, something about the life of fishermen and their like: a tough life but admirable. It is a place I hope to visit often ~ really magical and if you get a chance well worth it, peaceful and serene. Very good ~ it is a bit crazy to have such wildly different places as Bagan & Inle (and I enjoyed Pindaya a lot as well) in such a small country. I didn’t go to Pindaya either. We ran out of time and money. What a wonderful ode to the life of fishermen. 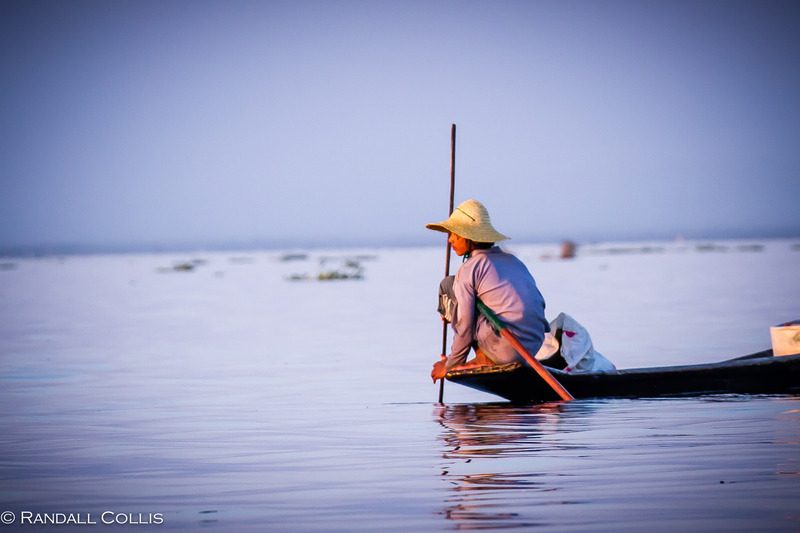 I can feel your oneness with the water world and Mother Nature – and your respect for the culture, the fishermen and nature. Your words are like a poem, only to be enhanced to a spiritual level by your photographs. Oh, so beautiful. 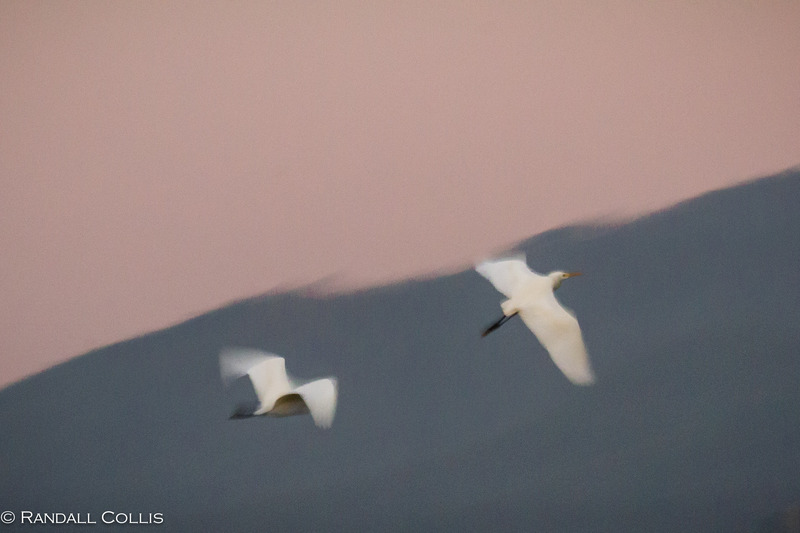 Such delicate colours, such lovely light, such beautiful compositions. It’s a touching post. It was a post that came together for those reasons you mention ~ the people and culture are so in-tune with Mother Nature, it was impossible to separate the two. Thanks Otto, the lighting and landscape the light made for days that I didn’t want to end. Good word! Insane photography! And I love the “play” on these images. That true about the ocean … I love your dipping the hand …. paragraph … that’s what we do when we were kids, and still even as we grow, you see the ocean … and like automatically, we wonder depth and space. The oceans truly are wonders. I always think that every creator is an artist. People doing their job is doing art. Surgeons, builders, plumbers are artists. People do art without them knowing it. It’s up to us what quality we provide with our crafts. Wow, those images are extraordinary! I always look forward to the quality posts here!! These are beautiful pictures, Randall — from such a different world than I’m used to — so calm. 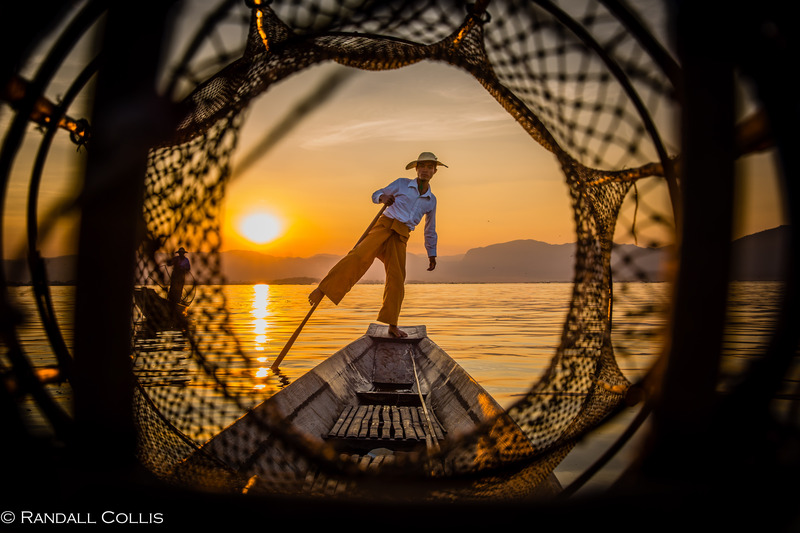 I especially love the one where you are shooting through the net to the fisherman — so good! 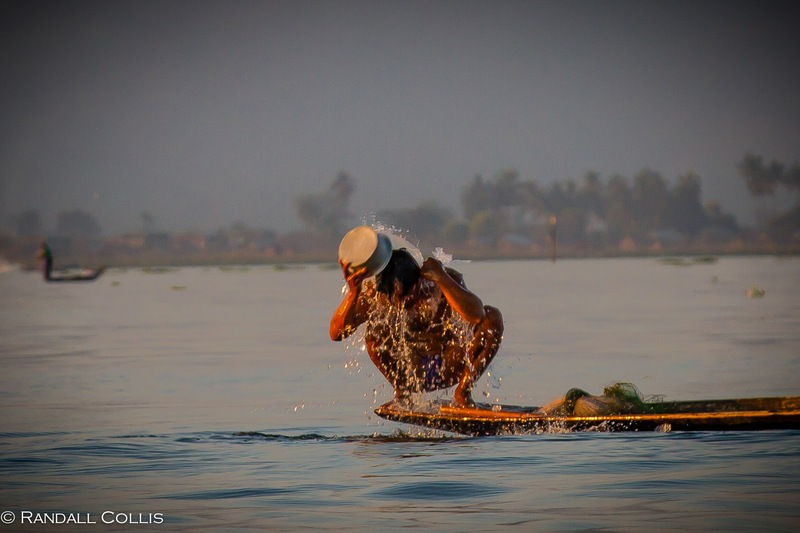 Thank you Dedy, it really is a bit of a choreograph between water and man ~ incredible to see. Oh my! This is sheer poetry Randall!! Your visuals make me catch my breath in wonder, and your narrative pulls me right into the scene. Thank you! 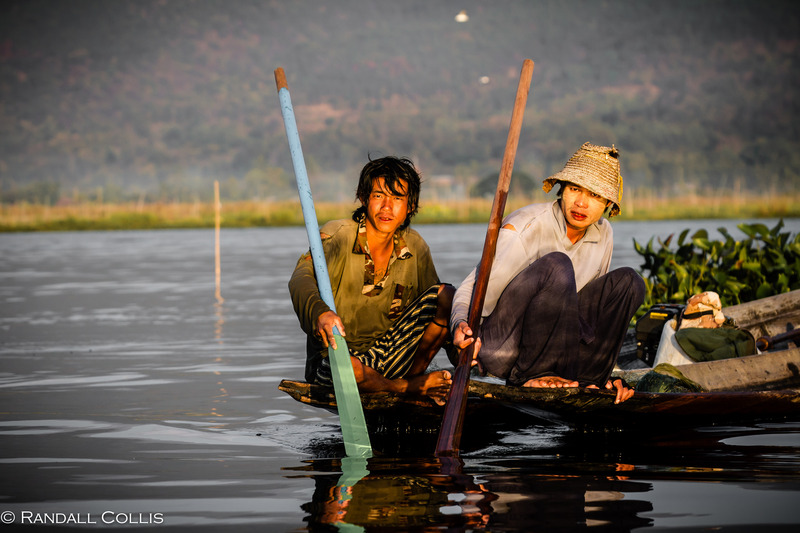 Thanks Madhu, there was such a great undercurrent of calmness during my time on Inle Lake…nice to revisit it in photos. Psychological and physical endurance, absolute beauty and wonder…. that is what I see here. Luckily no sharks devoured your catch and the pictures show just infinite beauty (you are able to capture wherever you go). What a perfect reply ~ takes me back to the coast of Cuba, such a great story! Had a few Santiago’s in my life and treasure each one! Nothing quite like enjoying what is out in front of you, and accepting what comes your way with determination to continue moving forward trying to keep sharks at bay. Thank Luana, and have a great day too! This is such an amazing post Dalo 🙂 i admire the attempt of to bring as much as possible of your experience to the readers. For a while i thought i was there too for i could imagine clearly how everything was just by reading your post. And all the photos are just out of this world!! Such great dedication 🙂 cheers! Thank you so much ~ it was an environment that I think anyone could lose themselves in, so happy that I was able to bring you into this world 🙂 I hope all is well, and that you are getting ready for Tet. Best and take care! Yes Berlin for Tet. Would be great for a catch up if u happen to travel there too. Wish u a lovely Lunar New Year! Berlin ~ ah, I was just in Munich last week for the ISPO (sports/outdoor show). Wish you happiness and safe travels! Those photos are beyond spectacular! And your writing has a poetic rhythm that matches the mood set by the pictures. It looks so calm, peaceful, and beautiful there that I wish I was there too. You outdo yourself every time! 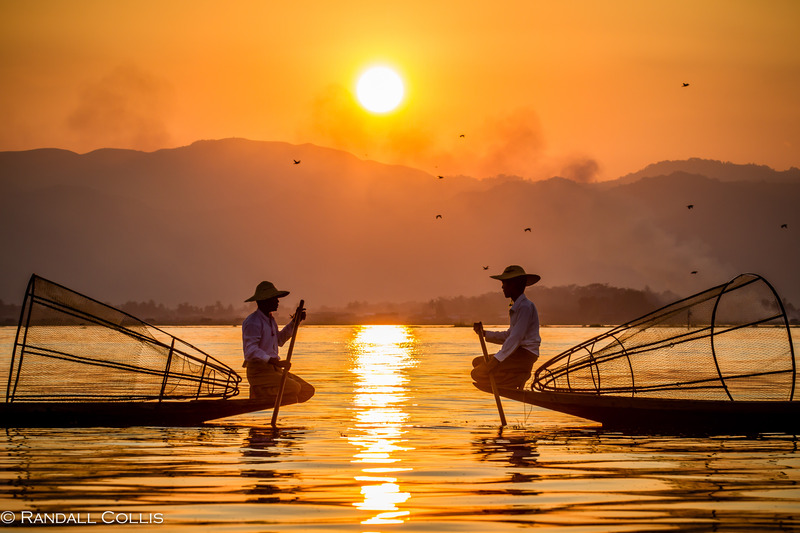 Thank you Sharon ~ this was a place I could not recommend more highly…a great way to see & feel an amazing culture and piece of life that is so different yet also so comforting and familiar too. Treemendously impressive, Randall! 🙂 Thanks for letting us join you in the fun! 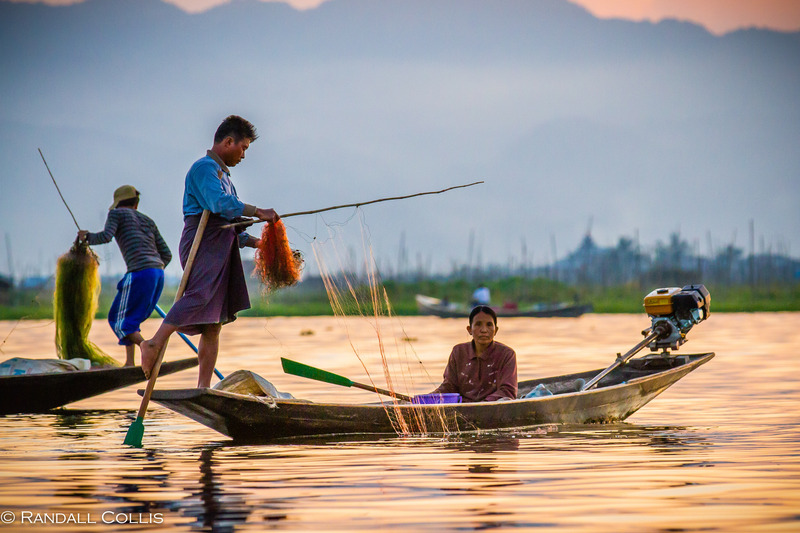 Thanks Jeannie, the fishermen were so in-tuned to what they were doing that it really was this great choreographed dance with the boat, water and fish…and the early morning and evenings had the lighting that made being there incredible. I’m with you on the great power & magic of water. Cheers! Your photographs speak volumes. 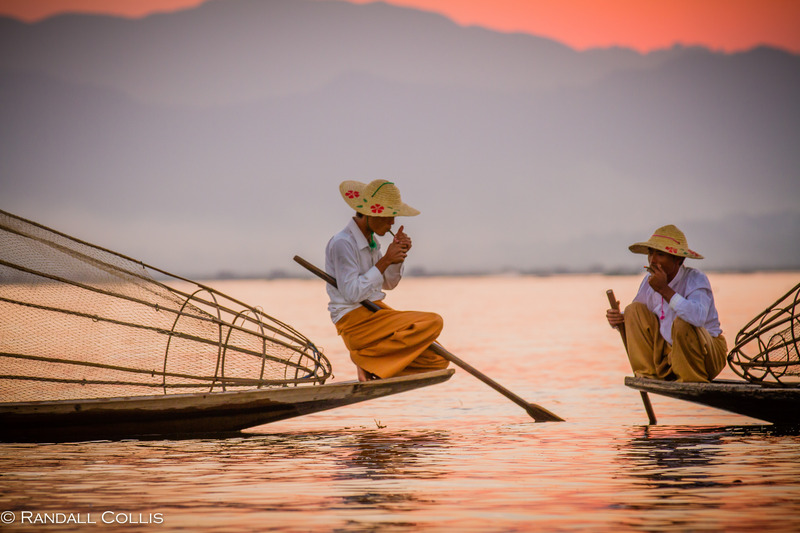 You’ve captured the subtle rhythm of these fishermen’s lives beautifully. The subtle rhythm…that is perfect. There is something there that is just very soothing to the soul, no matter where you come from. Cheers! 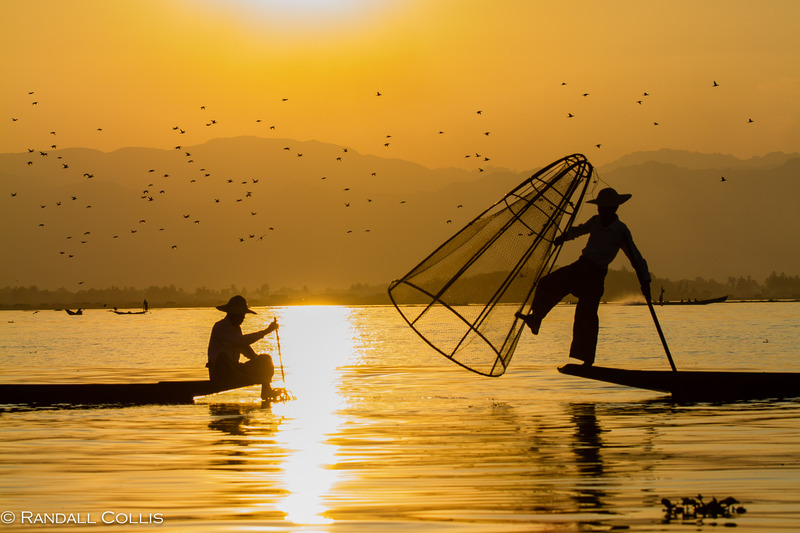 The shots of the fishermen are really extraordinary! The light is just perfect and makes the scenery very interesting. Could not decide which ones I liked best, the further down the post I came more beautiful pictures and text revealed. It was a pleasure reading! Amazing! Stunning! Fabulous! Perfection! What more can I saw? Absolutely some of the most beautiful photographs I have seen in a long while. I am inspired!!! It was an inspiring place…every day, every morning it felt great to get out of bed to see what was ahead. 🙂 Thank you! Your photographs are truly wonderful. So beautiful. Such a beautiful perspective! Your photos make me dream and travel! 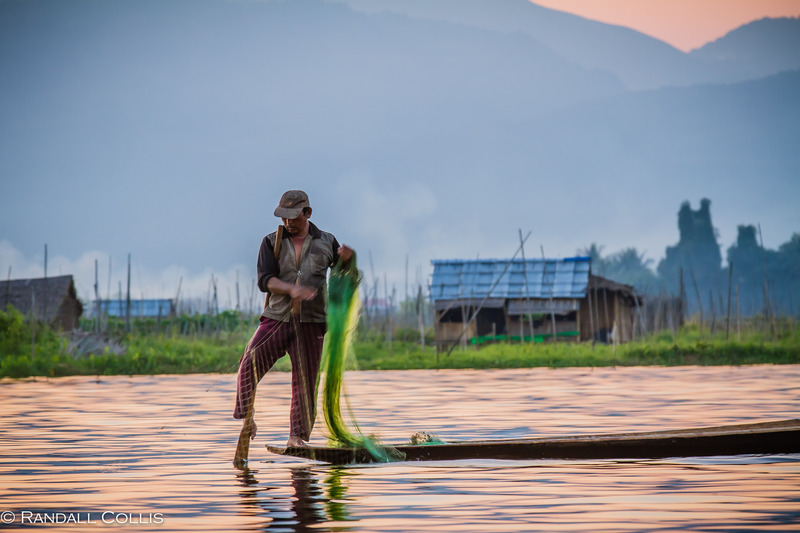 Thank you ~ dreaming and traveling do tend to go hand-in-hand, and one day hopefully you’ll see Inle Lake yourself…you’d love it. I can’t remember having stayed so long with a post for ages, what a dreamlike, gorgeous post, Randall. 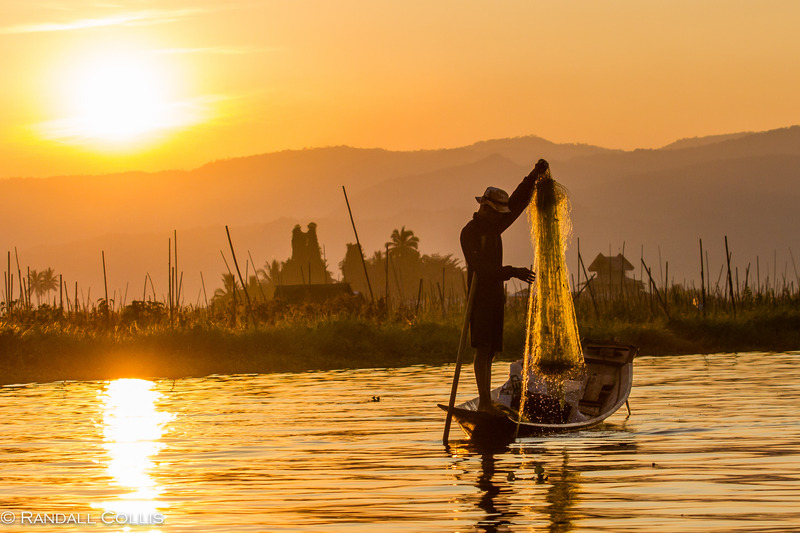 Your photography in the blue and golden hour has captured what every photographer hopes to find; the emotional link to the viewer. Every image ist art and pure beauty in colour, light and composition and the third one is a gem. Wonderful, inspiring words from the opening to the end, you have a unique gift for touching us with your writing as well as your photos. Thank you for this fabulous post! Thanks for this great portrait of fishermen! So well written that it was pure joy reading it. Do you know this other approach to a water determined life by Roger Deakin in his book “Waterlog”? A kind of aquatic “Songlines” as it was called. Thank you Klausbernd. I’ve not heard of this book but just placed an order for it. The fascination of water is one of those mysteries of life I will never get tired of trying to understand. Cheers! Beautiful images and great narrative! Thank you very much for sharing. These are so beautiful, And soulful. Thank you very much Georgia ~ I like the soulful comment, very true! Dalo.. how exquisite are your thoughts which match your fantastic photography.. You have captured ‘contemplation and patience’ as you ‘Practice’ your own art through the camera lens.. You transported me with your words through your day, as you stepped into the fishermen’s lore of what lies beneath. We each of us are casting and reeling in, sometimes coming up empty, other times rewarded with our patience. I am so very inspired as you were with “The angler is the everyman, the archetypal representation of who we are and who we wish to be.”..
May we continue to cast out our nets and real in our Dreams..
What a great response Sue, thank you. Your thoughts of us casting and reeling in daily, and only through patience can we be rewarded is spot on ~ and as with fishing, dreams take the same patience. Cheers! It is something else to watch and see the ‘effortless effort’ that fishermen, craftsmen and artists everywhere put into their work. I agree, it is an elegance and grace that defines beauty. Thank you Elina, very much appreciate your words! 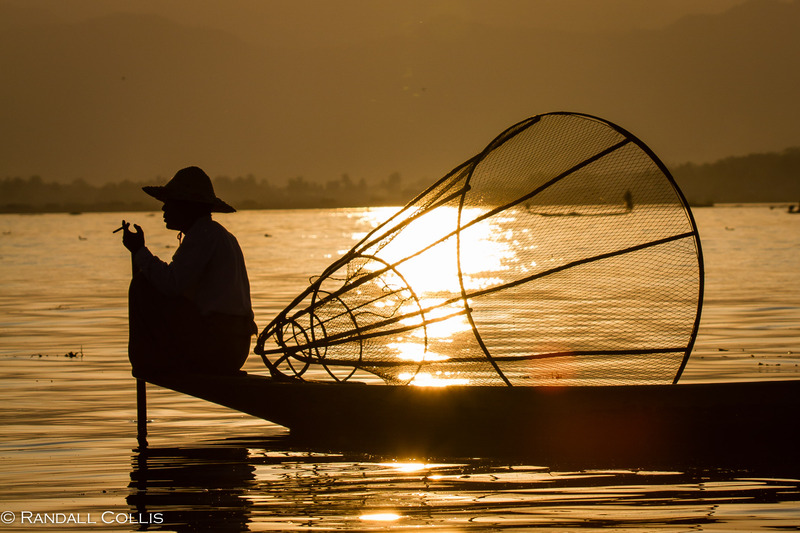 Your captured the gracefulness of fisherman’s movements and the tranquility of the place. Amazingly beautiful, both words and photos. What a treat to view these exquisite photos. Thank you for taking us there, Dalo! Thank you Amy, a very tranquil scene ~ made photographing it that much more enjoyable. Cheers! Your posts always bring essence of the places and people in the form of pictures and the well narrated stories. Love those golden times you captured! The fishermen were like dancing above the waters! Thank you Anna ~ these fishermen were very poetic with their techniques. 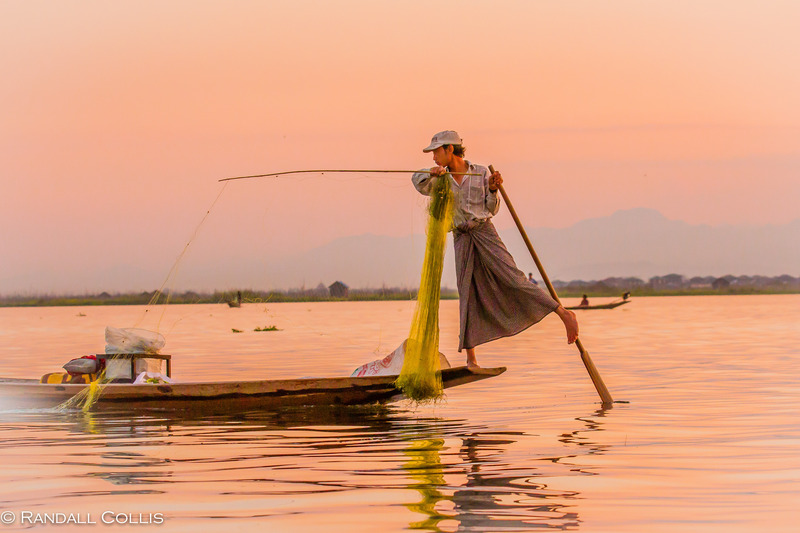 The first thing that comes up in my mind is, how do you identify the theme for a photo shoot and I used to wonder how easily you connect with the locals, be it in Myanmar, in China or anywhere else? A return trip to India is definitely in my future, and it will be to explore the culture, countryside and of course catch up and finally meet a good friend! Thank you and wish you a very happy Shivaratri ~ take care. thank you dalo for the work you do. it is very fresh and inspiring. Thanx for the like as well. I’ll follow you. good luck in your travels. 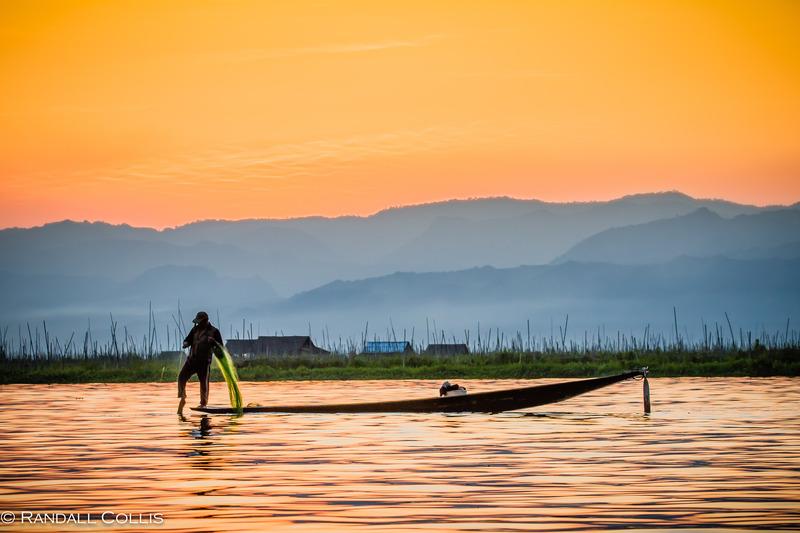 Thank you Jaz, Myanmar is one of those places that as you say, you can just stare at all the things around you…such beauty and differences. It must have been pretty amazing to have been there when they released Aung Sun Soo Kyi. When we were there, the freedom people had in speaking their minds was incredible to see… Look forward to see your Hoi An post. Cheers! Absolutely amazing photo shoot, I enjoyed it. Amazing composition and colors. Beautiful places and people I love it! 🙂 Thank you Randy. As always, I’m in love with your work! Thank you for making my day more beautiful with your wonderful stories and pictures! My! What a post and what photography!! I have seldom seen better work than this. Have you posted in National Geographic? Your work would easily qualify. Keep shooting…. and keep blogging. Thank you Shakti, enjoyed this place so much ~ and with such lighting it was a photographer’s paradise. Cheers! 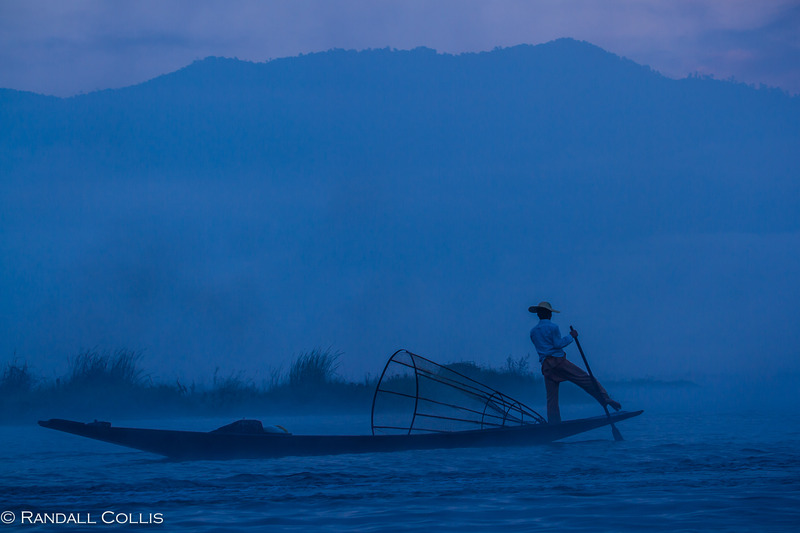 Magical images and they tell the story of fishing in Myanmar. The colors, composition and light make each image special. A place I would love to visit. Thanks for a great post. Stunning stills, I can’t help but scroll up and look at them again. Thank you Rahki ~ it seems you are doing very well yourself and look forward to hearing more about your studies. Cheers. 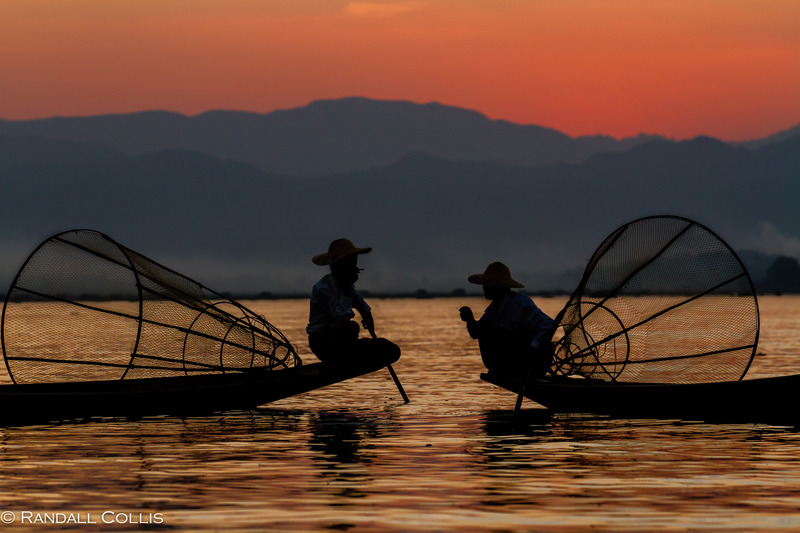 You tell an enchanting and adventurous story with these great photos of fishermen in Myanmar. Thanks for this great experience! These photos are stunning! Such a great job with the composition, light and creative framing! Wow!! Thank you ~ this place was such a perfect setting for light, and the fishermen simply artists that made a photographer’s job easy. Beautiful place. I do not have an instagram account, although planning on it at some point. I spend so much time in China where they ban so many media sites: WordPress, FB and from what I’ve heard Istagram…a bummer. But will get it for when I’m in the States and HK.